Tuesday December 4, 2018 - Kenya Pipeline Company CEO, Joe Sang, resigned on Tuesday as company’s managing Director citing personal reasons. 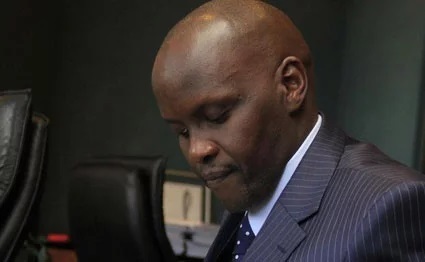 Sang’s resignation came at a time the Directorate of Criminal Investigation (DCI) was investigating the loss of 21 million litres of fuel worth Sh 2.1 billion. Though the culprits of the looting are yet to be identified, a source revealed that the fuel was stolen by KPC’s board led by Paul Ngumi who is the Chairman. Here are names of board members who shared the money and Sang has been crucified alone. 4. Hussein Adabi – Director State Department of petroleum. 11. Winnie Mukami – Director. Kenyans are now asking President Uhuru Kenyatta to disband the entire board of KPC because are all faces of corruption.